When I ever stop and think about my life spread out before me (it does not happen often and usually only when I am prompted to do so by scripture) am so thankful to hear the words of this psalm from verse 2: “You have forgiven the iniquity of your people and blotted out all their sins.” Then I read from verse 7 “Show me your mercy O lord, and grant us your salvation.” God’s forgiveness and mercy as well as salvation which the psalmist asks for in verse 7 are gifts from God, given to us in Jesus Christ. In the Psalm appointed for today, the people pray for their king as he prepares to go into battle on their behalf. Their pleas echo ours at Christ Church Community Development Corporation in Hackensack - for our neighbors in need and for ourselves - as we work and watch and wait during this Advent season. May God answer you in trouble. May God send you help. May God grant you your heart's desire. .“When it rains it pours”, that old saying! Some Psalms are very challenging and certainly this is one of them. I am not a Bible scholar. I am not a Latin scholar. The “subtitle” for Psalm 12, the psalm for today, is Salvum me fac. I had to look it up. It translates into “Save me”. Then you read the psalm itself and you want to open your window and shout “Save me” into the night air, a la the scene from the movie Network. Had to look that up too. Found a lot of forgotten quotes from this iconic mid-1970’s film that are eerily reflective of the current state of affairs. Then I re-read the psalm … and I felt a tiny bit better. In the New Revised Standard Version (NRSV) of the Bible, Psalm 12 is entitled “Plea for Help in Evil Times”. As I read through the verses, my mind focused on the situation in today’s world – so polarized and divided, each side firmly believing “The Other” as evil, often hoping and praying for defeat and destruction of the “enemy”. In our minds, “The Other” is someone who most likely does not share one or more of our political, religious or social views, which immediately places them, and assumed to be in the wrong. After returning from Cameroon last November, I was blessed to enjoy a Christmas concert at the National Cathedral. In the carols, I heard the voices of my Cameroonian sisters and brothers, moving me from the magnificent Cathedral setting to the grim reality of life in a developing nation. I began to wonder, what does it mean that once again we await the Christ child filled with the hope of a new tomorrow? 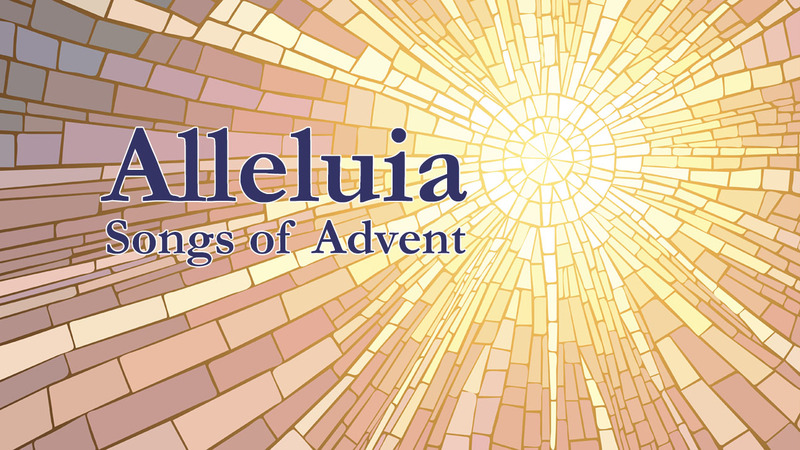 Sign up now for this year’s Advent Meditations, Alleluia Songs of Advent – reflections and stories inspired by the Psalms appointed for the Advent season, and written by recipient ministries of Alleluia Fund grants.